CYCLISTS FOR CHANGE – CONGRATULATIONS!!! 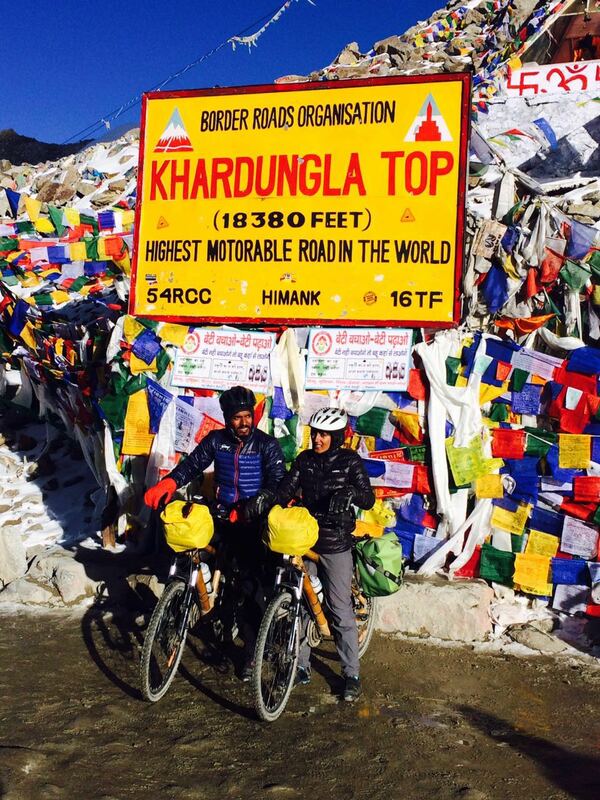 Prisilya and Sumeet have successfully completed the daunting journey – from Kanyakumari to Khardungl La Pass……..It was a terribly cold 5 degrees up there at the height of over 18,000 ft. The cyclists covered 4,000 kms in 63 days. This brave duo wants to galvanize Rs. 50 Lakhs (at a minimum) for IIMPACT’s girl child education program. So far close to 34 lacs has been successfully raised – 16 lacs remain to be raised over the next 7 days. YOUR HELP IS REQUIRED TO HELP MAKE THIS HAPPEN – please visit https://www.fueladream.com/home/campaign/275 to help them make an even bigger difference. They have continuously highlighted the issue of girl child education that exists in our country. This effort has been graciously supported by Godrej Group.